A man hit by a car during a brawl near a London Underground station has died, sparking a murder investigation. 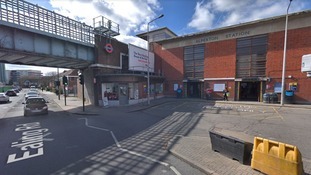 Violence erupted near Alperton Tube station in Wembley, north-west London in the early hours of Tuesday. During the melee, a car hit two men, aged 27 and 21, who were taken to hospital for treatment. "The 21-year-old man was later discharged. The other man remained in hospital," police said. Scotland Yard said officers were called to the scene on Ealing Road at 1.28am and nine people were arrested on suspicion of affray. Six of them are now being held on suspicion of murder, while one of the men was being held on suspicion of attempted murder, police said. Anyone with information can call police on 101 or contact them via Twitter @MetCC. Quote CAD 363/16APR.